Former National Spelling Bee champ revisits million-dollar poker tournament payday. Timestamps recap of June 11, 2017 appearance on DougPolkPoker YouTube channel. Super High Roller Bowl sixth place finisher Pratyush Buddiga joined 2017 WSOP High Roller for One Drop bracelet winner Doug Polk Sunday evening for a 70-minute conversation that focused heavily on two key hands from the May 31st SHRB Day 4 PokerGO telecast. Pratyush, a former Scripps National Spelling Bee champion (2002), collected a $1,000,000 USD cash prize in poker’s showcase $300,000 buy-in tournament. However, the payday was bittersweet for our in-house Upswing Poker Tournament expert, who like any high profile competitor would have much preferred the $6 million first place money eventually awarded to fellow high stakes pro Christoph Vogelsang of Germany. Doug for his part has taken a few days to allow the $3.68 million USD score sink in, but is back into the swing of YouTube Poker with three days of podcast appearances scheduled ahead of the WSOP Millionaire Maker final table. Following is a TIMESTAMPS recap of Sunday’s conversational segment between the two Upswing Poker pros, who have earned a combined $15 million USD in live poker tournament cash prize awards to go along with their online poker achievements. (39:40) Pratyush is competitive. Considers poker a competition… doesn’t degen. (50:50) Pratyush has been “looking good,” how he fixed his diet — heaviest was 5’11” 200 lbs. (56:00) Jesse Sylvia on board w/ health focus, eating correctly, PLP currently weights 157 lbs. 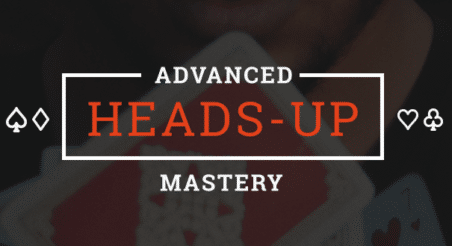 The Tournament Workshop is a 4-part series of instructional videos from Doug Polk and Pratyush Buddiga. With combined cashes of over $15 million in live tournaments… these guys have your strategy needs covered.